Decades ago, the only way to enjoy exciting casino action was to fly all the way to Las Vegas or Atlantic City. Now, many states boast a variety of casinos located on local reservations, which means for many people, a potential jackpot is just a short drive away. One of our Golden Winners! 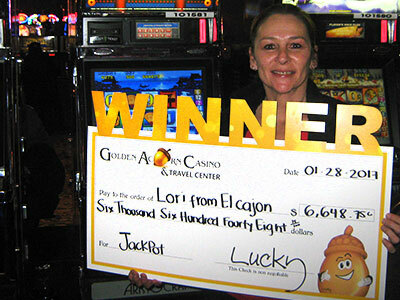 Congratulations to Lori from El Cajon, CA!